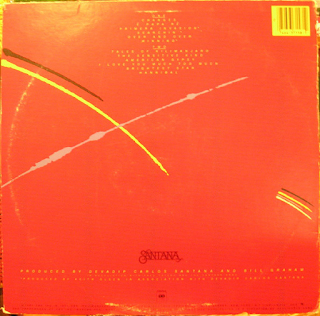 This was one of Santana's most "rock" albums, with far less jazzy experimentation or Latin rhythms as on previous or later albums. It was very much aimed at the rock/pop mainstream. "Changes" has a singalong Band-style country rock chorus and, half way through some searing, riffy guitar. It is far more of a rock song than a Latin, rhythmic number. "É Papa Ré" has some Latin syncopation and jazzy parts to it. It is one of the album's few Latin numbers. Even this one, however, ends with some heavy rock guitar. 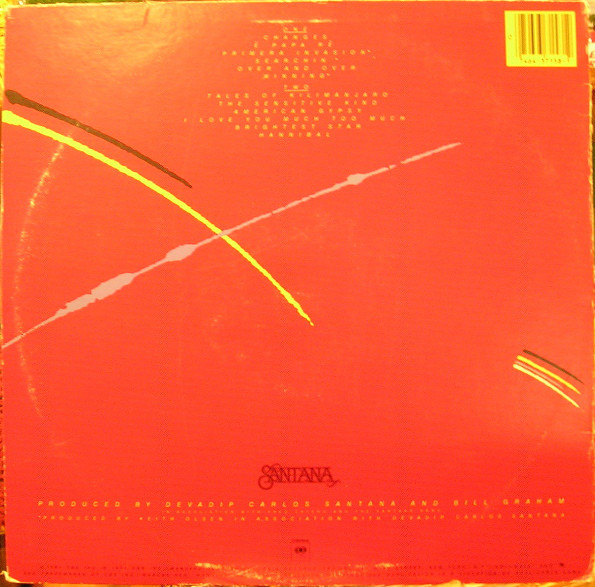 "Primera Invasion" is a more typical pice of Santana Latin rock, with some infectious percussion. It merges straight in to the synthesiser-driven pop rock of "Searchin'". It has a real West Coast, AOR feel to it. It has some prog rock-style keyboards though, before Carlos Santana's trademark guitar arrives. It is a good track. "Over And Over" is a very commercial song, with a sort of REO Speedwagon meets ABBA chorus and vague hints of The Who's "Behind Blue Eyes" in the verses. It is as poppy as anything Santana has really done. "Winning" is another most poppy number with hints, for me of Peter Gabriel's "Solsbury Hill". Again, it is most un-Santana-ish. If you heard it you wouldn't say it was them. Santana's recognisable guitar introduces "Tales Of Kilimanjaro", which is a muscular, thumping instrumental with a big, heavy bass sound. "The Sensitive Kind" is a soulful rhythmic number, with a captivating vocal. This is all very listenable stuff. 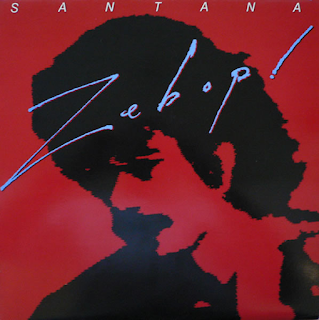 "American Gypsy" is the album's other typical Santana Latin groove, full of vibrant percussion, swirling Santana guitar and Spanish chanted lyrics. "I Love You Much Too Much" has a "Parisian Walkways"-style guitar melody. It is a most appealing, atmospheric instrumental. "Brightest Star" has some superb guitar introducing it, before some more soulful vocals arrive. The soul vocals on this album are provided by Alex Ligertwood. The track ends with a kind of Blood, Sweat & Tears-style blues rock vocal barrage. "Hannibal" is a more recognisable, Spanish vocal Latin workout to remind the listener that this was indeed Santana. To be fair, there is much that is trademark Santana dotted around, but the overall feel of radio-friendly rock is quite unusual for Carlos and his band.